By now during your research into purchasing a new mattress you may have noticed a new entrant into the mattress market: the latex mattress. 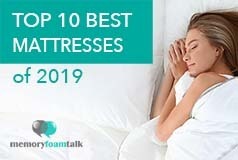 There are several important differences between memory foam and latex mattresses which are important to understand when choosing one of these. Memory foam mattresses are known for how they react to your weight and to the pressure that your body imposes on it while sleeping. Everybody has different needs when it comes to weight, pressure relief and maximizing comfort, and this is the beauty of these mattresses: finding the right balance for you. Memory foam mattresses contour and mold to your body when you sleep on them, leaving an imprint and shaping the sleeping surface with your body’s sleeping position. By doing so, this can help you get a better night’s sleep by spreading your weight along the bed and helping to eliminate pressure points. When you move during your sleep or alter positions, the weight is released and the mattress conforms to your new position or back to its original state, allowing for increased comfort and support in any sleeping position. No matter if you are one of the side sleepers, or you prefer sleeping on your back, it is a good choice. 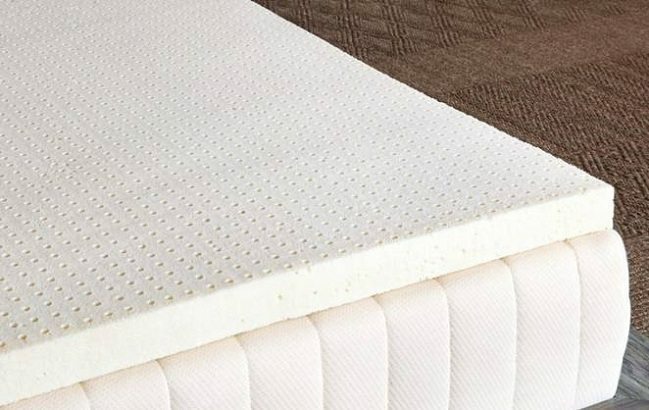 One of largest drawbacks of buying a memory foam mattress has historically been the components of the mattress material that give it its capabilities. The mattresses are typically made up of polyurethane, a polymer that is associated with harmful chemicals, such as methylene chloride, which can be irritating and sometimes even harmful to your health. Some have unpleasant smells as well which have been a complaint in the past. However many new manufacturers use newer, environmentally cleaner foams which make the new breed of memory foam mattresses much healthier and less toxic. In addition, brands such as Loom & Leaf ship their mattresses in an uncompressed form as opposed to being put in a box, eliminating the odors historically associated with memory foam mattresses. Memory foam mattresses also can tend to sleep hot at times, but advances in gel technology and using better ventilation and cooling techniques have made this less of an issue. 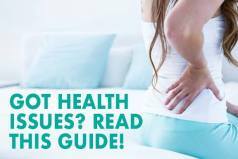 Some of the better mattress companies have been able to address these issues head on and make them much less of a concern. With latex mattresses, you get a firmer, more resilient feel than that of memory foam mattresses, and generally a more allergy-friendly sleep, as they are made of more natural materials. These mattresses tend not to sag as much, which is common complaint for some memory foam mattresses, and provide more bounce or spring. Latex mattresses also tend to stay cool, regardless of the temperature, which can provide a very comfortable sleeping environment. You will be very comfortable while sleeping, no matter if you choose a natural latex mattress or one made of synthetic materials. Also, a latex bed can last for 15 years without any issues. Some people prefer synthetic latex while others rather choose an organic mattress. However, they are not without their own disadvantages. Latex mattresses tend to be more firm, and so those looking for a softer sleep may not enjoy a latex mattress. They don’t contour to the body the same as memory foam mattresses, so may not be a good choice for sleepers wanting more contour or body hug. The heaviness of the mattress, too, is an issue, as most latex mattresses tend to be quite heavy and difficult to move. Some people also may not enjoy the springier feel that latex mattresses provide. There are some companies that have sought to provide the best of both worlds and have created a mattress that combines the benefits of both memory and latex, also known as the Hybrid mattress. Casper is the mattress that has received the most press as of lately, quickly becoming a top selling mattress. Other popular hybrid brands are Leesa and GhostBed. This hybrid mattresses can contour to your body, while also being springy, firm, and cool. The companies producing these mattresses are making the debate about latex versus memory foam a little murky by combining them into one mattress. All signs point to these mattresses being really great at capturing the benefits of both while limiting the drawbacks. Now that you know the basics of each type of mattress, you can make a decision on which mattress type may be better for you. This involves considering what sort of sleeper you are, and what sort of sleep you are looking for before choosing which mattress is right for you. If you often are sore upon waking or during sleep, then you should look into the memory foam mattresses, as the softer materials will help to alleviate those painful pressure points that disrupt your sleep and mold to your body better. If you are someone that loves the idea of jumping into bed, sinking in and reveling in the comfort of the contours, then the softness of the memory foam mattress may also right for you. If you enjoy a firmer feel to your mattress, and dislike the sensation of sinking in, then a latex mattress may be right for you. And if you are worried about feeling hot while you sleep, latex may be a cooler option, although more advanced memory foam mattresses have addressed this much better lately. And lastly, if the features of memory foam and latex both sound good to you, then you may want to consider a hybrid model as an alternative.